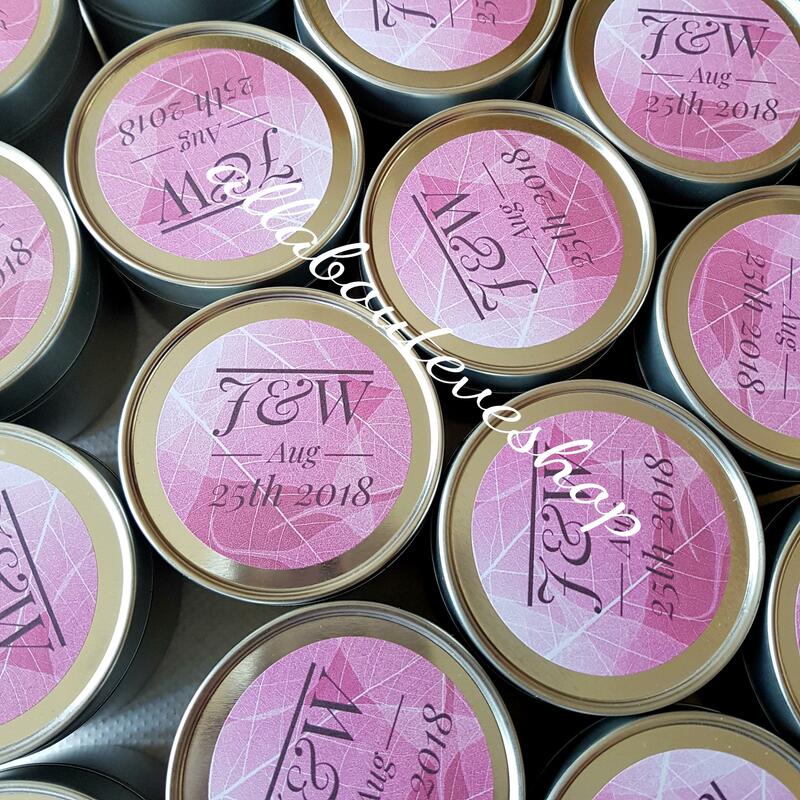 The mini candles are 3.5 oz and made with soy wax, which is a natural, renewable wax. It is non-carcinogenic and burns cleanly. The candle will burn for around 24 hours depending on drafts and fans. These candles have a natural cotton wick. 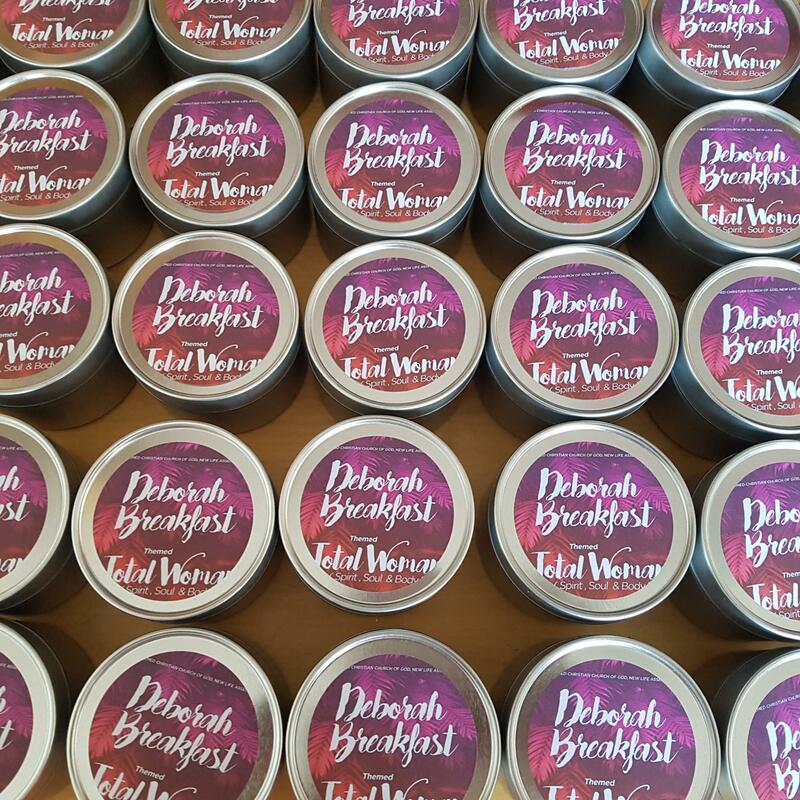 The candles will have a bespoke round label to match or co-ordinate with your event. The candle favours are available in multiples of 12, so choosing 1 is 12 candles, 2 is 24 and so on.